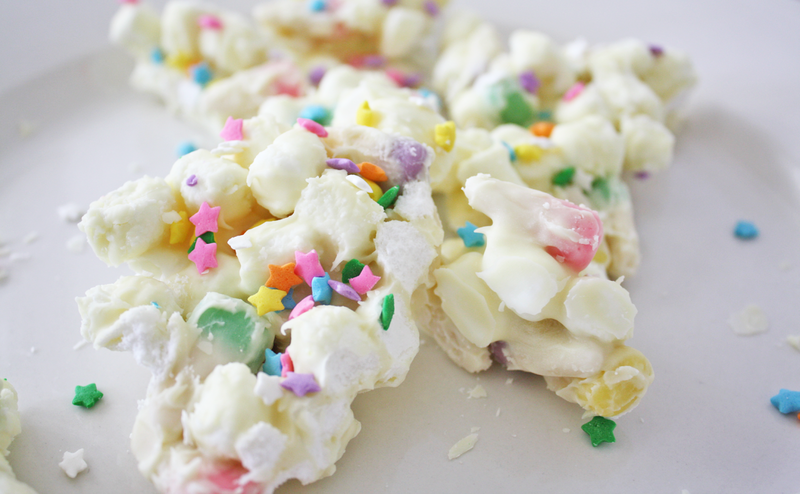 This delicious Easter marshmallow white chocolate bark recipe from Shauna at Ella and Annie Magazine would look so pretty on a spring dessert table or packaged up cute as Easter party favors! Who doesn't love white chocolate and marshmallows (with some sprinkles thrown in)?! I am used to making peppermint bark around the holidays, and thought it would be fun to try an Easter bark! 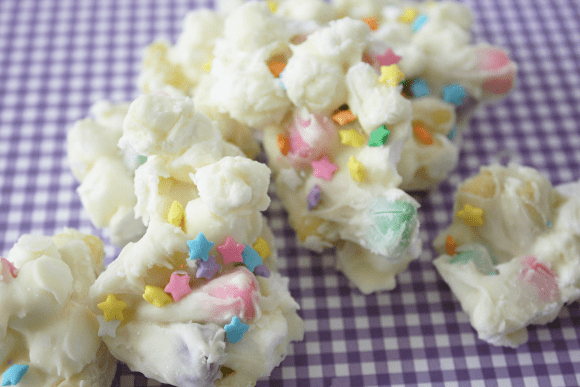 It is a super delicious treat and easy to make, and perfect for little fingers who are on the go with all the Easter festivities. 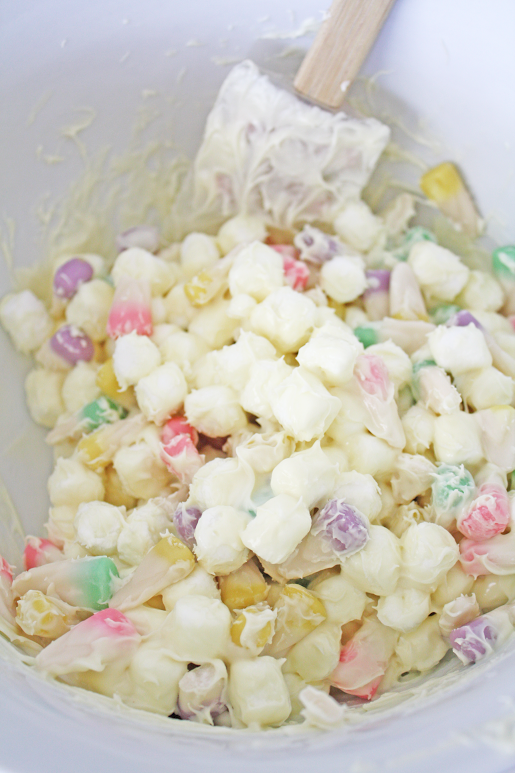 Feel free to substitute your favorite pastel Easter candies. Melt chocolate on medium to low heat in the microwave in 30 seconds intervals, stirring each time. 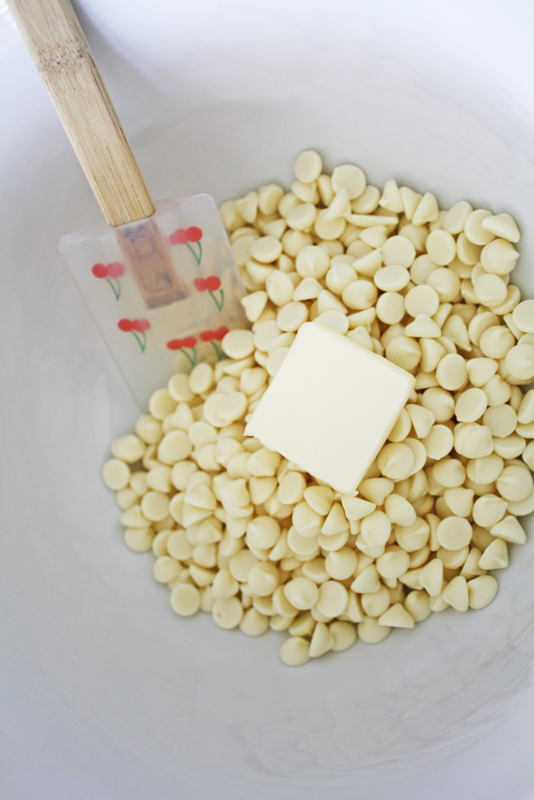 When melted, add butter, and continue to mix until butter melts. 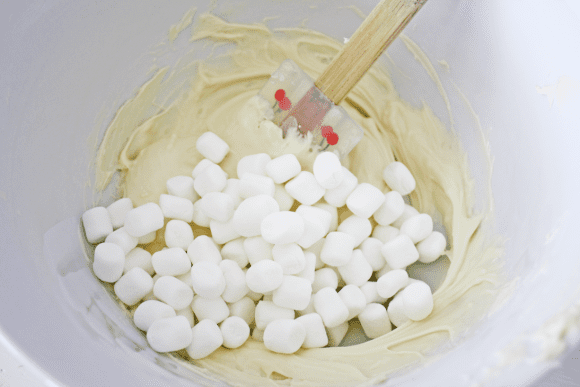 Add three cups marshmallows and mix until all marshmallows are coated. 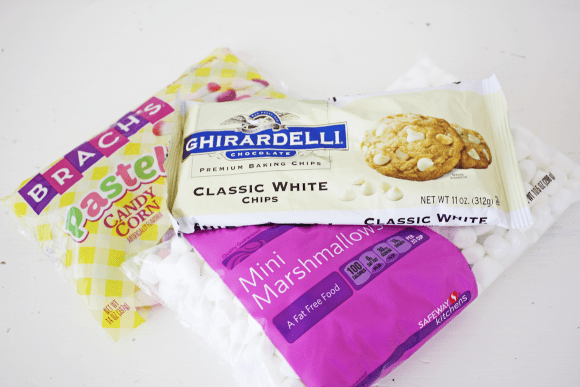 Add candy corn and mix. Spread bark in a 9x13 baking pan on parchment paper. 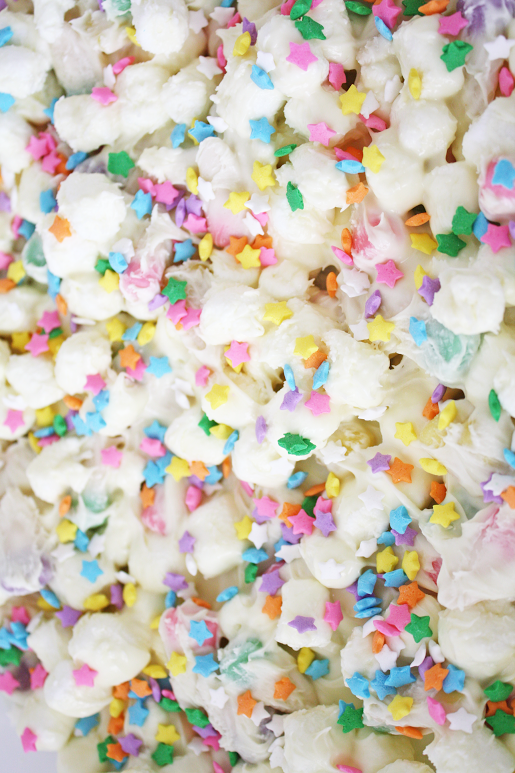 Add sprinkles white chocolate is still hot. Place in refrigerator for 15 minutes for the chocolate to harden. 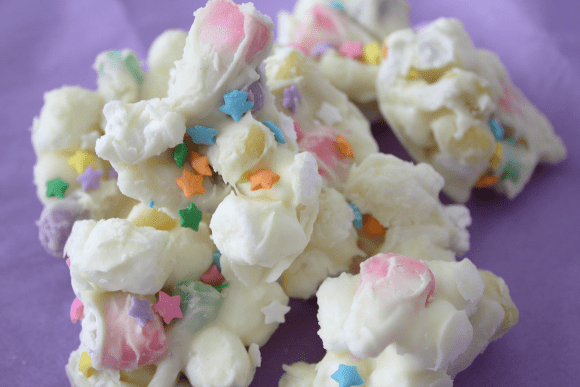 Remove from fridge and break into pieces to serve! To see more of Shauna's work, check out Ella and Annie Magazine and visit them on Facebook, Twitter, Instagram, and Pinterest. For more inspiration, check out all the amazing Easter parties and FREE Easter party printable collections on our site! It is super yummy! Thank you for sharing Jillian!